Airtel being one of the networks in Nigeria and always with the intention of satisfying their users/customers recently launched another data plan ( 1.5GB ) which you can't afford to miss as an airtel subscriber. If you do, trust me you are on the verge of missing something. The challenge is still on between all the Networks in Nigeria, first, it was MTN that came up with this 1.5gb, later etisalt and Glo joined suit and now guess what, it's Airtel. 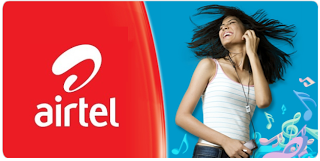 This Airtel 1.5GB is meant to last within the period of 30 days (Monthly), and works on all devices, be it Android, BlackBerry, iphones/iPads, Apple, Nokia as well as PC. As long as the device has access to the internet network. Works perfectly well on any browsers and social medias like Facebook, Twitter, whatsapp, 2go etc It need no configuration of any sort, like that of VPN (psiphone, or simple server etc). All it need is your normal default settings that is provided by the Airtel Network Telecom. Without saying much, let's go down on how to subscribe for the data plan. Before that, if you are yet to flex the Etisalat Bis cheat for free browsing. posted here few days ago, you are still not late to that. Enjoy it by clicking the link above right away. ◾ First of all most, recharge your line with the sum of N1000 airtime only on the sim you want to subscribe with. ◾Then subscribe for the data by dialing this code *496# on your phone, after that a success reply telling you that the subscription was successful will be sent to you by Airtel Network provider. Remember, the data plan is valid for a month.